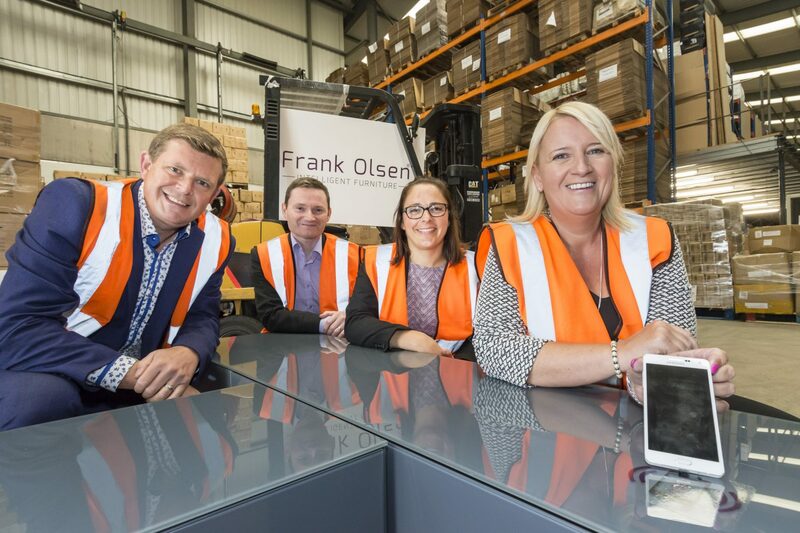 Intelligent household furniture specialist Frank Olsen Furniture has obtained a £25,000 investment from the Northern Powerhouse Investment Fund (NPIF) to support its expansion from a start up to a scale up business following a sharp increase in retailer demand for its products. Nantwich-based Frank Olsen Furniture designs and manufactures a range of bedside, cabinet and TV and media stands, incorporating remote technology to wirelessly charge mobile phones and other handheld devices. With clients including major retailers House of Fraser, Bensons for Beds, and Arighi Bianchi, turnover has grown quickly since the company was founded in 2016 and received a £25,000 British Business Bank Government backed Start Up Loan managed by Business Finance Solutions (BFS) earlier this year. The additional £25,000 investment will now enable the business to purchase the stock required to fulfil confirmed orders as well as bring roles in-house in order to improve margins. Led by Managing Director Charlie Graybrook, the company is also set to create three additional jobs over the investment period. Mark Gibbons, Senior Loans Manager at Business Finance Solutions, said: “Frank Olsen Furniture is a great example of how the alternative finance service structure in the North West has evolved to support businesses from the outset and throughout their growth journey. Having received a Start Up Loan from BFS last year, Charlie and his team came back to us to secure the additional finance they needed to continue to build their presence in this emerging market. Charlie Graybrook, managing director at Frank Olsen Furniture, said: “Interest in wireless charging continues to pick up momentum and, with major companies just beginning to explore its capabilities, businesses utilising this technology that have already launched quality products to the market are in a great position to capitalise.